A brochure site for a yoga teacher in Alexandria. 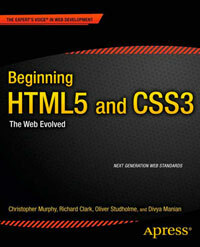 The site uses the HTML5 boilerplate as a starting point, and some new elements to markup the content. The document outline is good and the developer seems to understand the proper use of the section element. A couple of things could be done to improve the site: small could be used for the copyright notice in the footer, and although contact details are marked up using the hcard microformat, the correct class to use is vcard.